The Friday before Thanksgiving while I was getting ready for work I received a text message from a friend of mine that I had seen the week prior at an Anberlin show at Gramercy Theater. 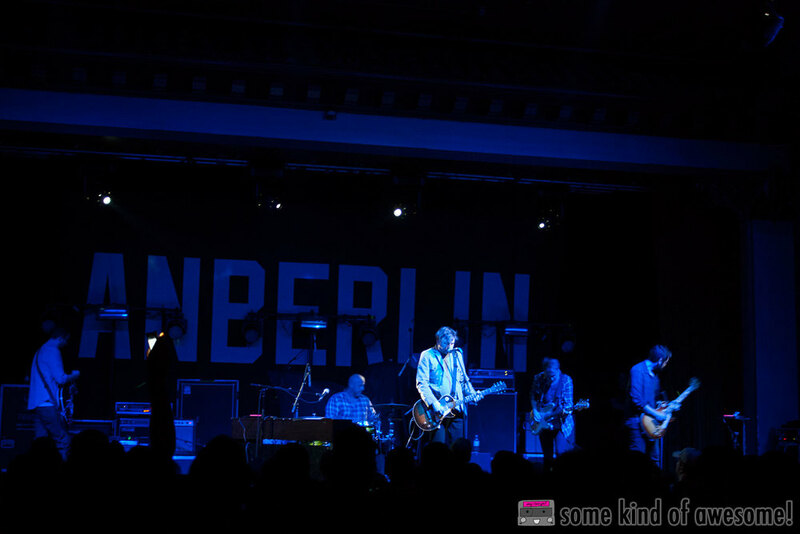 While we were hanging out at that show, I had entertained the idea of heading to Florida to witness the final Anberlin shows ever before the band officially broke up for good. Later the next day, however, I pushed it out of my mind because it wasn't a thing that I could afford and felt incredibly silly for me to go out of my way for considering how many times I had seen the band growing up. She wanted to know if I was still planning on heading home for the holiday for the final Anberlin shows. As I fumbled to text back, "Can't do Florida. Would love to, just can't", the second I hit send my eyes began to swell with tears and lump in my throat was big that I was having a hard time swallowing. I don't get into it much on here, but a big part of the person who babbles on about music to you that you are reading today was majorly influenced by my upbringing in Orlando. As much as I sometimes wish I had been born and bred in New York, I can't imagine that I would have been the music loving human being that I am today without the experience of being so hungry for music and so eager to support local artists that I traveled all over central Florida following a handful of bands around. Unfortunately, not many of them saw the semi-mainstream success that I had cheered them on for, but to this day I couldn't be more proud of what bands like Copeland, Underoath, and Anberlin have been able to accomplish since we were all idiot teenagers. After a bit of encouraging/convincing from my friend, I did what any actual fan would do: I did whatever it took to get my behind to Florida. I had to get to Florida by Tuesday night because it wasn't just Anberlin performing at The Ritz in Ybor City, my longtime local favorites Copeland would be opening. Copeland had disbanded a few years back, so it was a top priority of mine to not miss this unicorn of a reunion-eque performance. I literally flew in, kissed my family, drove where we needed to so I could borrow my mom's car, and proceeded to drive in some of the worst rain I had experienced driving in for an hour to Ybor City. Every 10 miles or so I received text updates from hometown friends already there about the status of the show because I was running so late (thanks again, JetBlue!). But I made it. Not only did I make it, but it was just in time for "Coffee", a song that I had long spent defining myself to non-Florida friends who didn't quite understand the dynamic of the central Florida music scene. For 5 minutes I would forget that I was rain soaked and stressed out of my mind. The flood of memories and emotions that came was worn basically white knuckling it the whole way to Ybor because it had been years since I had driven in the rain at night. 16-year-old me was so happy that I had gone through all the effort for one more live experience of that song. I thought of the countless times that I had hid what was left of my allowance under one of their t-shirts on their merch table because I knew they were going to be heading out on tour and I wanted to make sure they had gas/food money. I relished in the moments I had with a band that had inspired me for such a large portion of my life. Between sets I ran into a girl who I had met at a show over a decade ago. At the time she didn't have enough money for a Copeland CD, so I bought her one. We kept in touch and I'd later introduce her to a friend of mine who would eventually become her husband. She showed me photos of their kids and we caught up a bit. That was a bit of a surreal moment for the both of us. I had forgotten about the Copeland CD bit until she posted this Instagram a couple of days later. Mind you, this was all before I even experienced any Anberlin music within the state of Florida. A longtime friend of mine got me backstage because I was getting overwhelmed by the crowd. From the side of the stage I sat on some amp cases or something and watched another band that I have literally been experiencing for more than half of my life. I watched their fans sing along so loudly that sometimes I had trouble hearing frontman Stephen Christian. I cried at their show in New York that I attended, but this one I managed to keep it together... at least for this one anyway. After the show a lot of us old school Florida scenesters waxed poetic about days gone by. It was equally weird and amazing to be around people that have been my musical family for as long as they've been. I had attempted to prepare myself all day for Anberlin's final show at House of Blues. I knew that if the feels had been weird in Ybor that they were DEFINITELY going to overwhelm me in Orlando. After as much facetime with my blood family as I could, I joined my other family inside House of Blues for a powerful set from the forever amazing Floridian five-piece. Throughout the majority of their set I applauded myself for keeping it together, but that was before I exchanged hugs and laudatory words with the band's manager and longtime personal hero of mine, Kyle Griner. He and I have somewhat of a history. He didn't know I existed until well after I would secretly go make extra copies of the flyers for the shows he promoted back in the day (I was painfully shy when it came to things like that for some reason). Since being made aware of this, however, it has been nothing but mutual respect and admiration. Like the bands I poured my heart and (formerly) allowance into, Kyle has been someone that has long inspired me to press on like I have in the 14 years that I have been actively trying to professionally help musicians make all of their musical dreams come true. After the year that I've had, I didn't realize I needed to hear all the nice things he said to me until after he walked away, but that sub-5 minute conversation alone was worth the airfare to Florida. 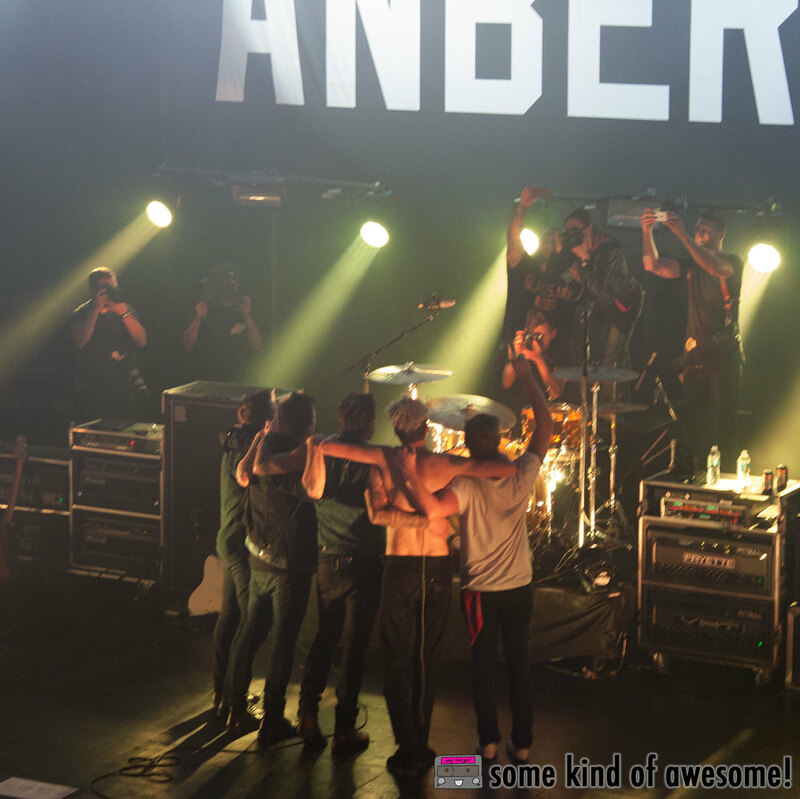 The band rang out their final note, we all hugged each other, shed a few tears, hung out for awhile, and then just like that, Anberlin had officially converted from touring rock band to fond memory. If there's one thing that I learned from this particular experience, it's that it's important to not just remember where you came from, but to fearlessly embrace the seemingly awkward pieces of your former self that brought you to who you are today. I used to be really embarrassed about how much I supported the central Florida music scene even after I had moved away to Nashville and New York, but I would never trade the fire that these bands ignited inside of me at such a young age for all the limited edition Beck vinyl in the universe. I will forever be thankful for the contributions to the universe that were provided by both Copeland and Anberlin and never stop being inspired to pour my heart and soul into trying to make someone else feel the same way about another band. Check out the photos from both shows in the gallery below. Pick up Anberlin's final album, Lowborn, on iTunes. You should definitely also grab Copeland's latest album, Ixora, while you're already there shopping.